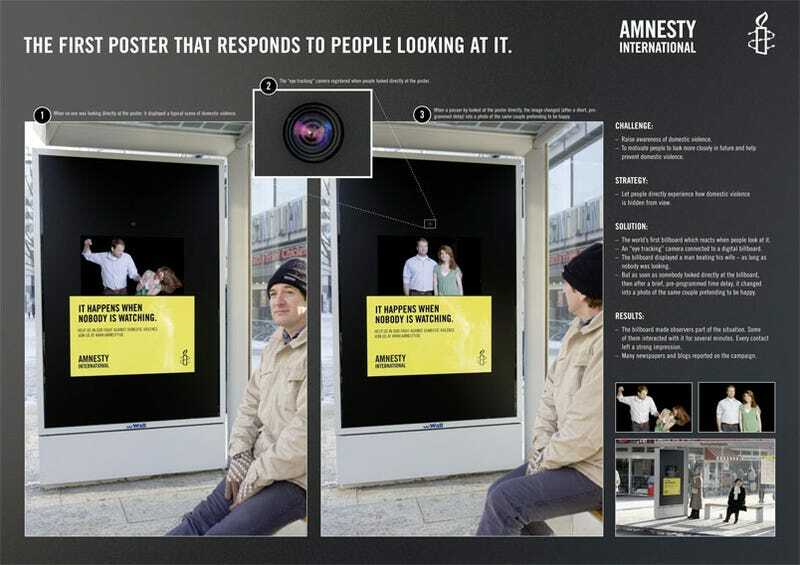 Amnesty International has installed a new anti-domestic-abuse ad fixture in Hamburg, Germany which is equal parts clever and shocking: when you look at the photo, it's a smiling couple; when you look away, it's a dude punchin' a lady. The billboard works by scanning its proximity with an eye-tracking camera, which triggers an image switch on the display panel when it senses someone looking at it. The change only occurs after a brief delay, so that observers understand what's going on, and get the message.